Angie in T.O. 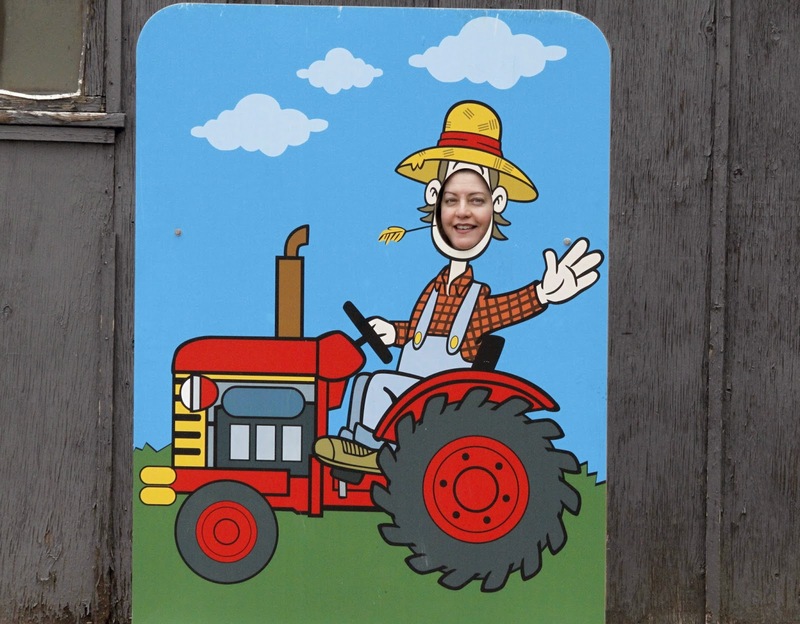 : VISITING MOUNTSBERG...AGAIN! 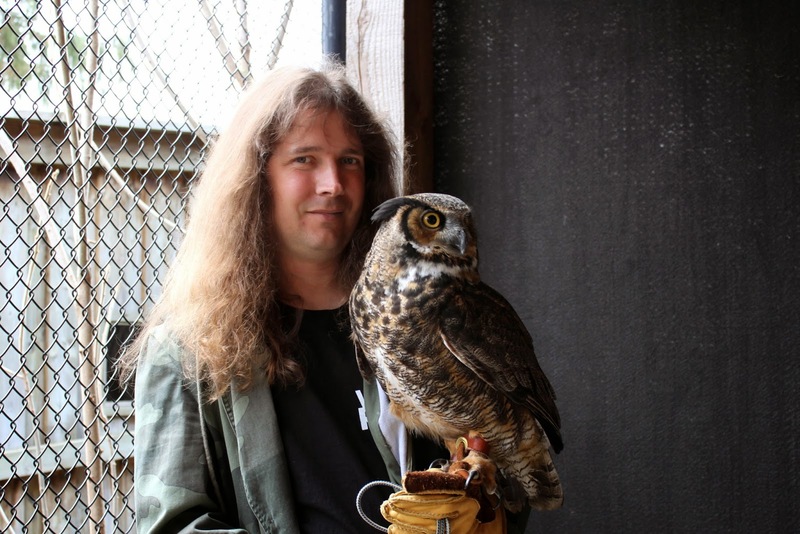 Me with Octavius, a female Great Horned Owl. I still remember the first time Rob and I visited Mountsberg Conservation Area, it was our first new year's day together in 2005, and Rob said it was the best new year's day he'd ever had. They started started doing Raptor Encounters in 2010 and we've been doing at least one every year since. It's always an enjoyable and different experience. We like to get "caught up" on the educational birds at the center and also with the wonderful people who work there. We hadn't been in the Spring for a couple years, so decided to change that this year. 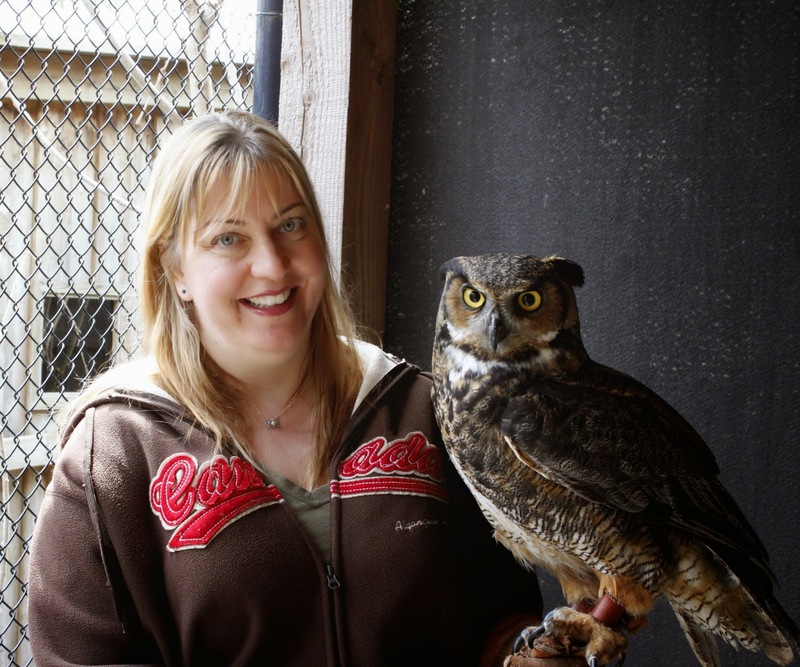 On April 26th we arrived well before our scheduled Raptor Encounter so we could walk a couple of the trails, visit the barn and see some baby barnyard animals. Please enjoy a few photos from our visit. 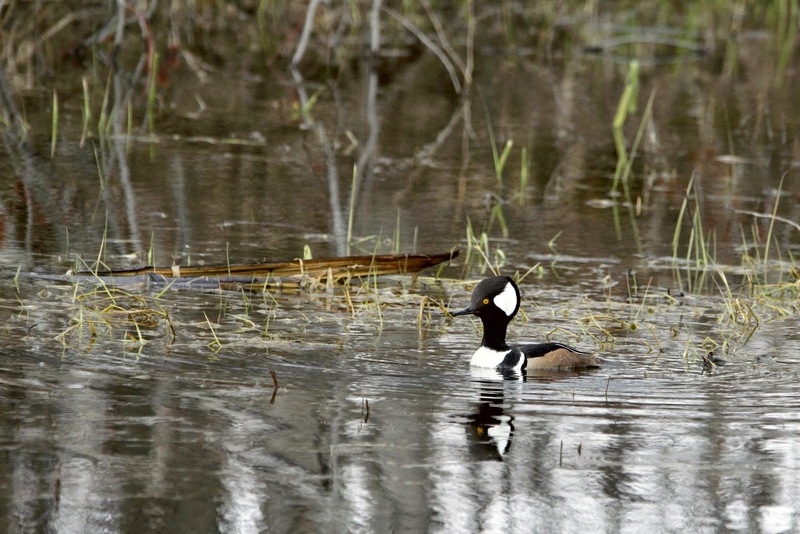 This beautiful Hooded Merganser stole our attention away for the Osprey we were watching. Time to check out the barn! 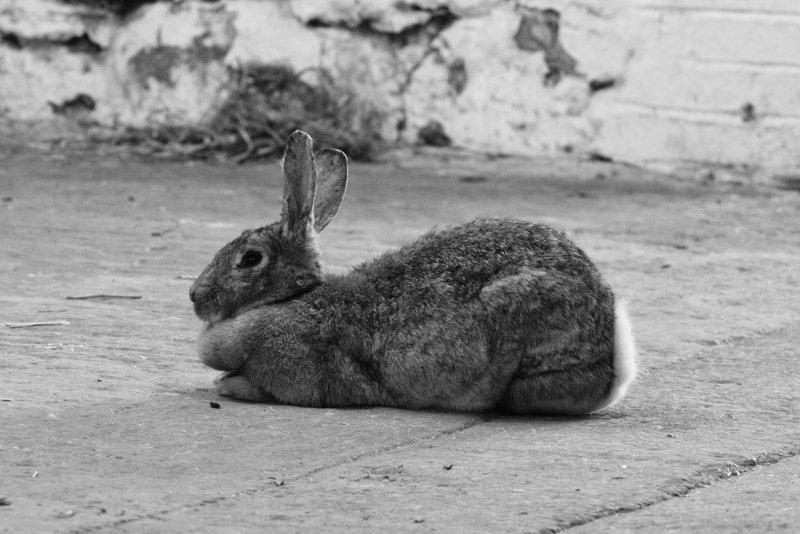 This is the Easter Bunny, I'm sure of it! Pierce, their educational Loggerhead Shrike. What a personality she has! 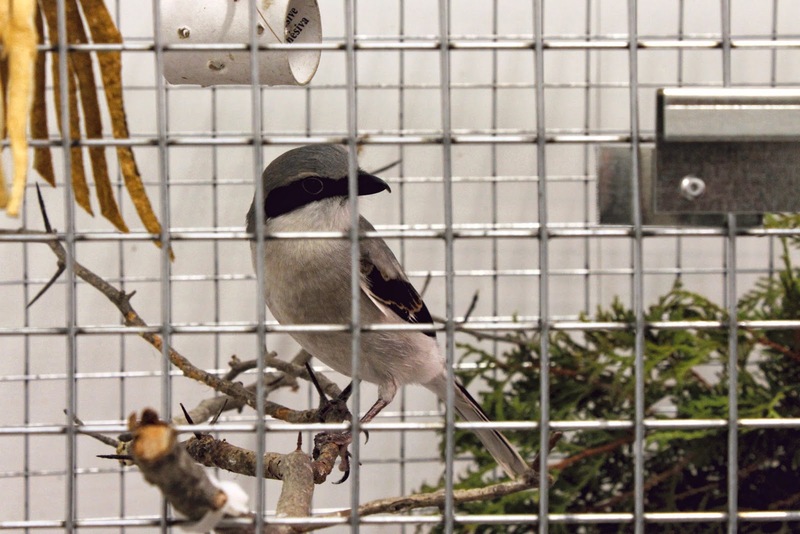 Mountsberg is part of the Loggerhead Shrike Recovery Program. 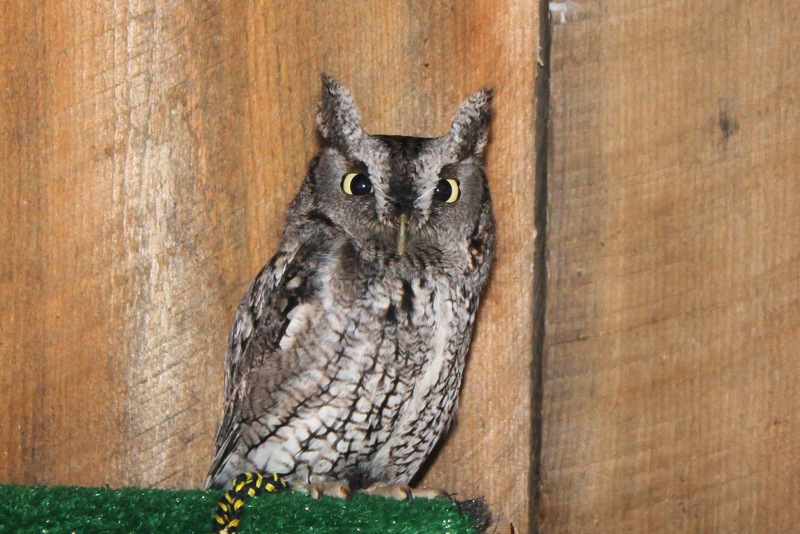 Here's Echo, and Eastern Screech Owl who we've been visiting since 2010. It was another great visit! Special thanks to Sandra and Larisa who always seem so happy to see us walk through the door. I highly recommend a visit to Mountsberg if you haven't been and the Raptor Encounters are a unique experience that allow you to get up close and personal with a bird of prey and learn what goes on behind the scenes at the centre. Please click on the years to read about some of our other visits there; 2010,2011, 2013. Great shots! I have wanted to do the Raptor encounter also but haven't made the time. Your post has inspired me to make the time, thanks.